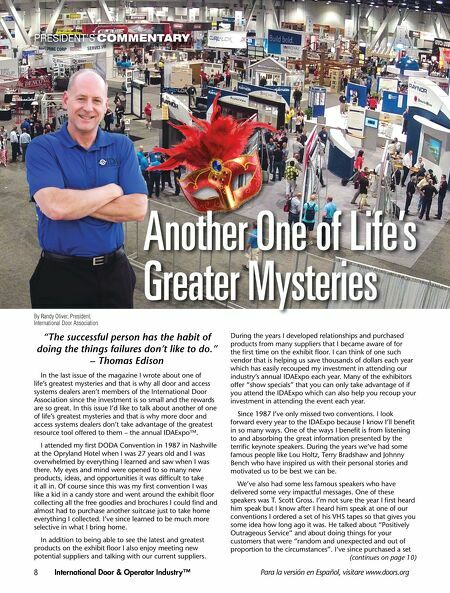 To become an authorized Clopay commercial dealer, call 800.526.4301 or visit clopaycommercial.com. Spokane International Airport Snow Removal Facility: Custom commercial track engineered for maximum space and extreme reliability Made in the U.S.A. © 2015 Clopay Building Products Company, Inc., a Griffon company. 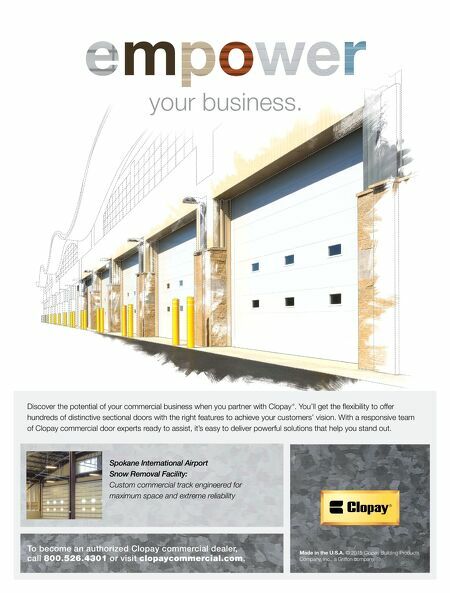 Discover the potential of your commercial business when you partner with Clopay ® . You'll get the fl exibility to offer hundreds of distinctive sectional doors with the right features to achieve your customers' vision. With a responsive team of Clopay commercial door experts ready to assist, it's easy to deliver powerful solutions that help you stand out. your business.